It’s never too early to begin thinking about Halloween…. we’ve got only eight months to go! Like my shop tagline, “cute and morbid,” I am always thinking about different ways to put a sweet spin on the dark and spooky. Maybe it’s a way to make the grotesque more palatable; taking the edge off of our worst fears. My Tiny Anime Frankenstein Charms are a good example. Forget big and lumbering, these guys are petite and kawaii. 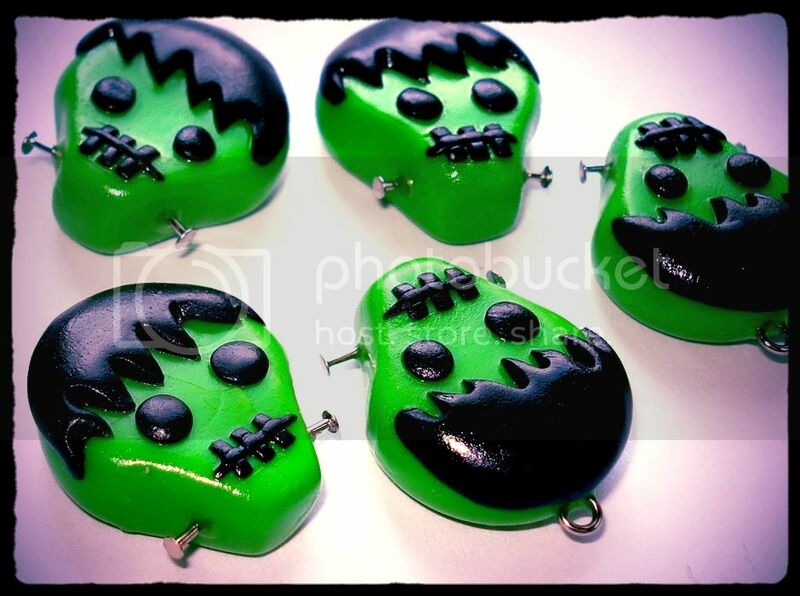 You can see a lot more cute and creepy items in this Etsy treasury by Lauren, Monster Mash. 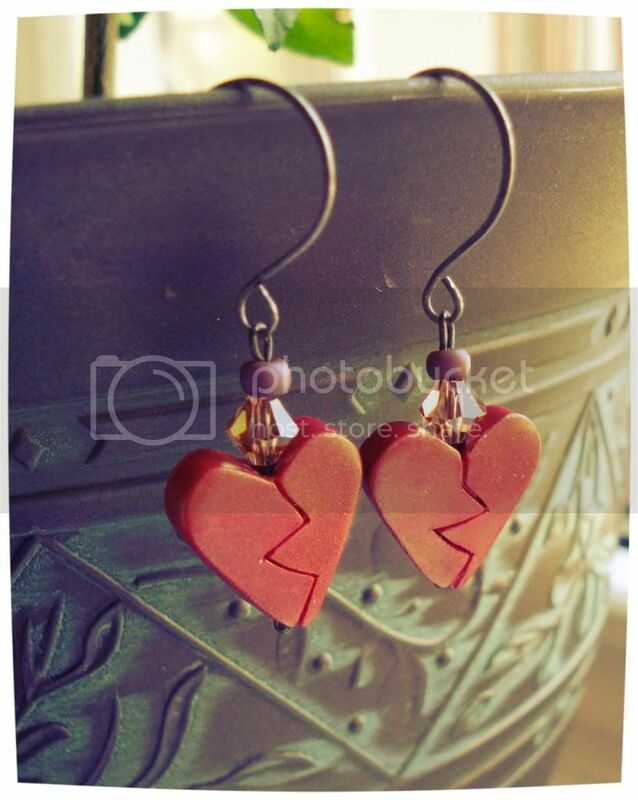 My Broken Heart of Gold Earrings have been chosen. Although they look broken, I like to think that they’re in the process of healing. What do you think? Happy New Year! I hope that you had a wonderful 2012 and are looking forward to many new, excellent things in 2013. I know I am. For those of you who may have partied too hard last night and into the morning, here’s an Etsy treasury of hangover cures. 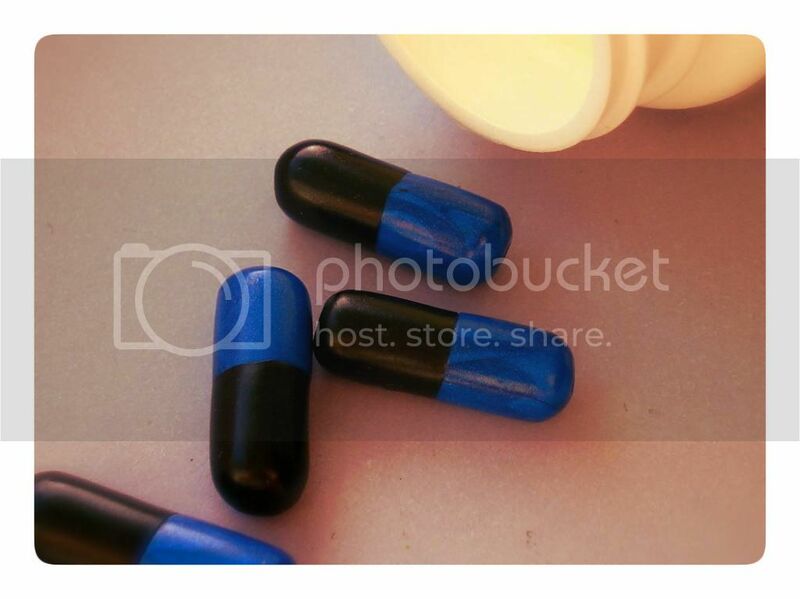 It features my bitter pill beads, which I make by hand from metallic blue and black polymer clay. Other color schemes are available in my shop. Click on the photos to see more. I love me a woodland theme. 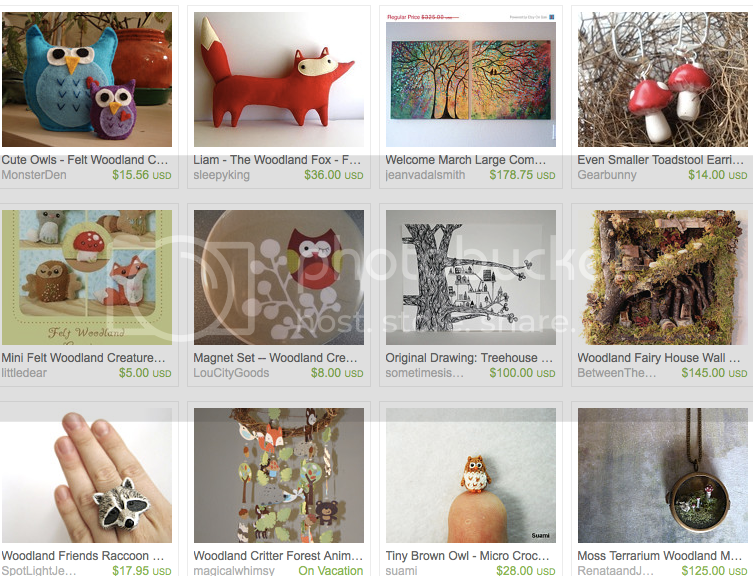 This adorable treasury makes me want to jump into the woods and commune with nature. How about you? 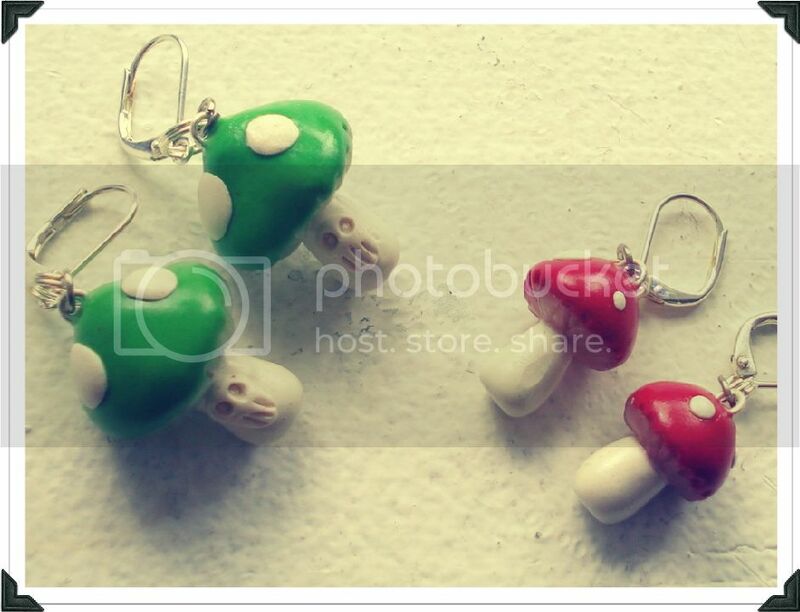 I think my Even Smaller Toadstool Earrings fit in just fine. Just don’t eat them, though. Pink is the color of love and happiness. There is some evidence to suggest that being in a pink room evokes a feeling of calmness and decreases aggression. 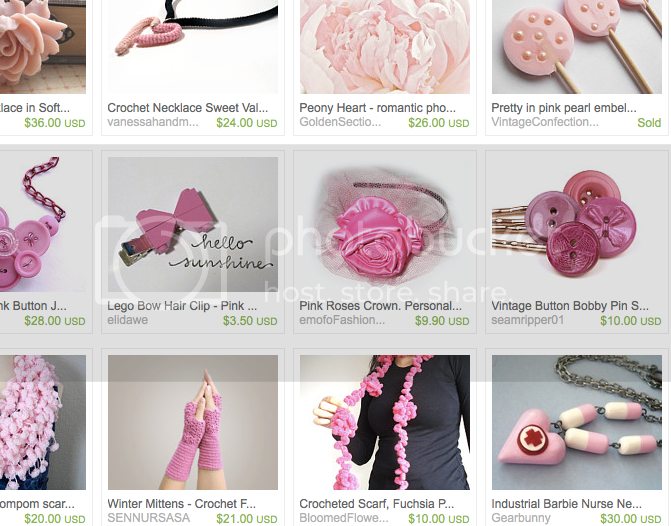 Enjoy this pink Valentine-themed treasury! 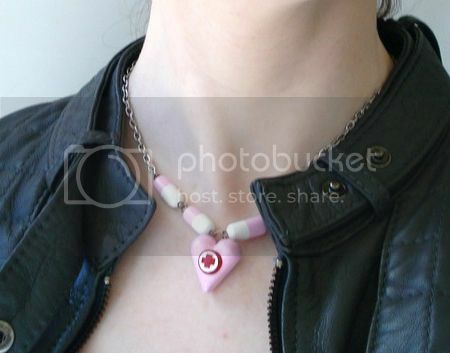 Thanks to the curator for including my industrial barbie nurse necklace!